It’s time to have Kapil Sharma New Show. Guess What? 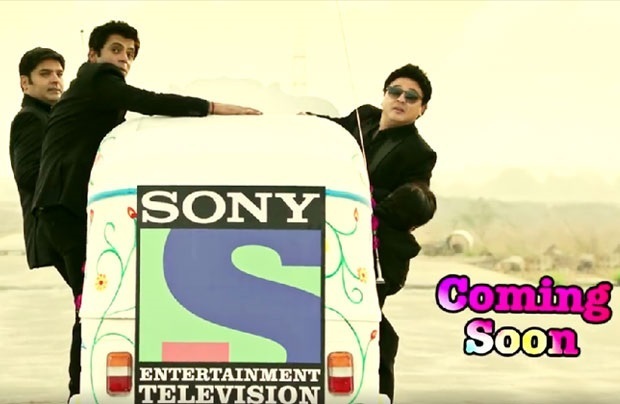 Sony Entertainment is coming to the audience with Kapil Sharma again. Comedian Kapil Sharma, who is known for his comedy show, Comedy Knights with Kapil is gearing up for his next new TV Show “The Kapil Show“. The Kis Kisko Pyaar Karoon actor has added another feather to his career. Recently, we got an announcement that Kapil Sharma new show will be named The Kapil Show. That news really made Kapil’s fans happy. Kapil Sharma’s new TV show will go live on 23rd April with Shah Rukh for the first episode. Currently, Kapil and his team are working on his next TV project “THE KAPIL SHOW” which will be aired on Sony Entertainment Television. The first episode will be shot in Delhi with Shah Rukh Khan on 1st April 2016 along with the live audience. Shah Rukh Khan will be promoting his next and upcoming movie “FAN” on the very first episode of the Kapil Sharma Show. There were rumours like the museum team who flew to India to meet India’s Prime Minister Mr. Narendra Modi also met Kapil Sharma at his hotel to take his measurements, photos and other necessary details. Resource says the work for Kapil’s Statues has already been started and expected to be finished in next 6 months. Audience & Kapil Fans believed the news regarding Kapil Sharma Statue at Madame Tussauds, but the authority confirmed it to be a fake news and the team has no plans for the statue now. All of the Kapil Sharma’s Fan club congratulated Kapil for adding a new feather to his hat with his statue coming up in Madame Tussauds Museum. Unfortunately, rumour now comes to an end. The Kapil Sharma new show will be released and go on AIR from 23rd April 2016 on every Saturday and Sunday.